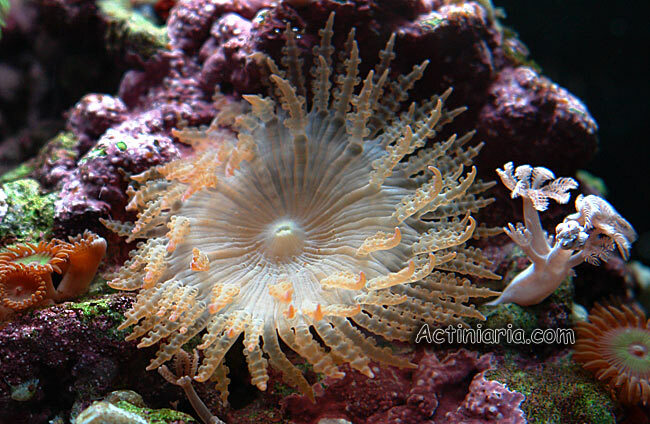 This anemone could be often encountered in marine aquariums. We had no chance to examine any preserved specimen of this species, but, as appears on the photo, it certainly belongs to the genus Phymanthus - note very characteristic marginal tentacles with peculiar side branches. Small darker warts arranged in short radial series on the disk are actually what is called discal tentacles. 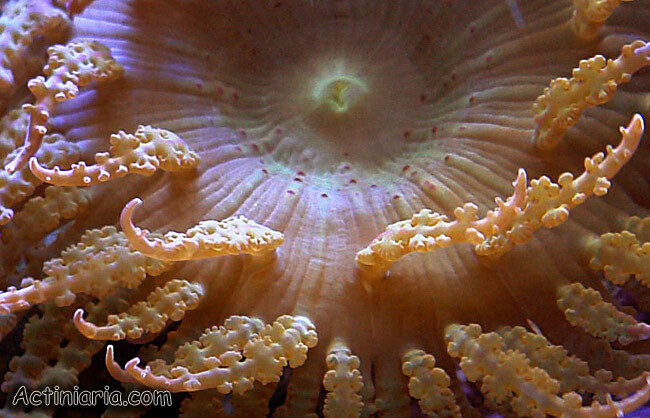 Presence of discal tentacles in radial rows is an important character (family level) in systematic of sea anemones. Although various species names are applied to this species on several websites (e.g. Phymanthus buitendijki), we do not think that these identifications are reliable. Positive identification is not possible without throughout study of whole complex of species assigned by various authors to Phymanthus. Currently the genus contains more than 10 species most (if not all) of which are known mainly from old and not always perfect descriptions.